Kofta and Biryani are found on the menus of almost every restaurant, wedding or food event and is considered to be one of the most tasteful dishes to come out of the subcontinent regions of India and Pakistan. Koftas are dumplings served with a variety of spicy gravies. They are very popular in India. Kofta is a great choice if you want to experience the Indian flavour. There are varieties of popular koftas like Lauki ke kofte, Malai kofta curry, Cheese ball curry, Shahajahani kofta curry, Hydrabadi kofta curry, and all of them are delicious dishes. Biryani is a mixture of rice and vegetables. Biryani is an ancient Indian dish which was enjoyed by most of the great kings and rulers. There are a lot of popular varieties of biryani such as, Hydrabadi dum ki biryani, Awadhi biryani, Mewe ki biryani, Spicy biryani, Peshawari biryani, Handi biryani. Vaishali Tripathi is from a traditional Hindu joint family. She is a hotel management and catering technology graduate from Kamat club, Mumbai, India. She received a gold medal in post graduate diploma in Hotel management from Delhi, India. Cooking has always been her passion and she has successfully published three books - Indian Thali, Dhabe ka Khana & Traditional Indian Thali, which have been published as international editions. 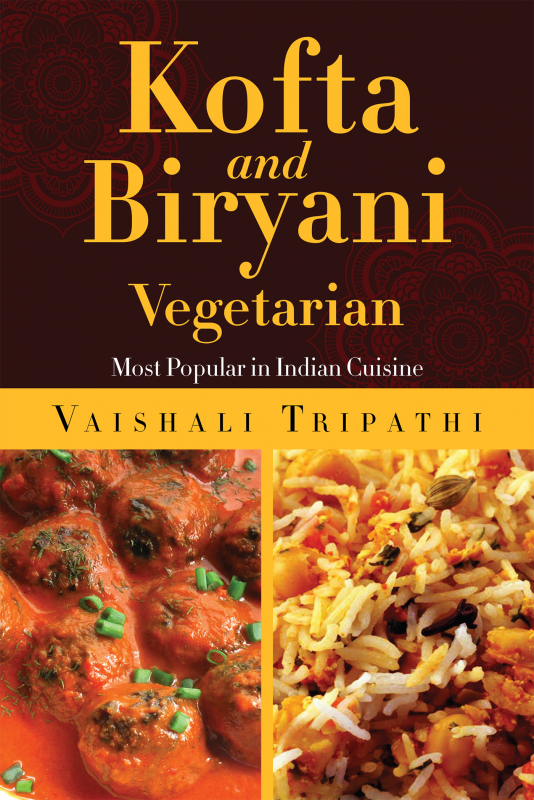 Now she is all set to publish her new book ‘Kofta and Biryan’ which will cater to the lovers of Indian cuisine.